NewTechWood UltraShield is beautiful, functional and it will stand the test of time. 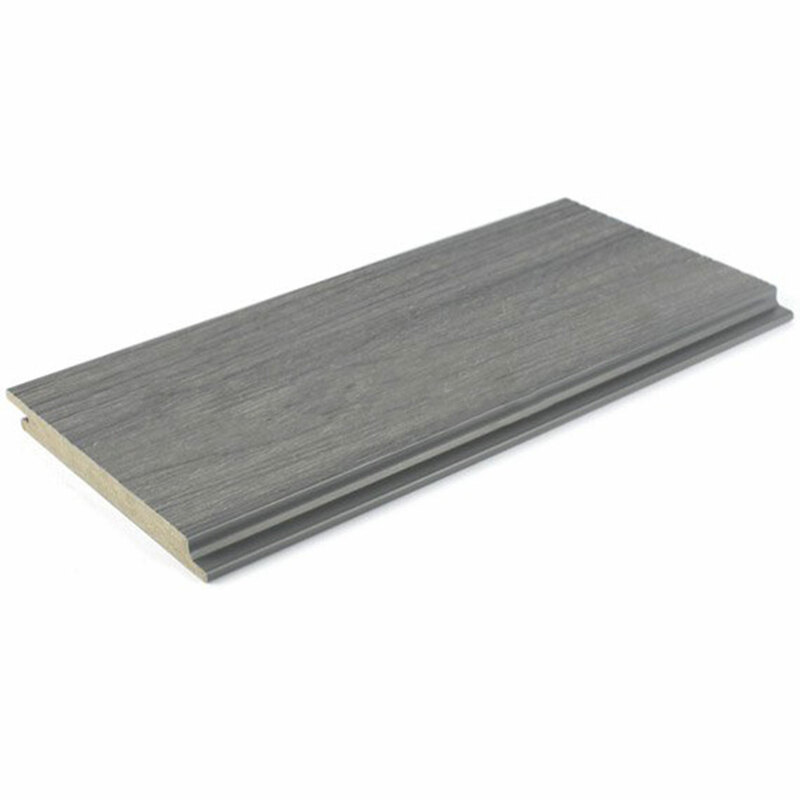 Years of engineering went into creating the most reliable composite deck board in the industry. Maximum protection and custom textures, this is a product to love. A long lasting deck that looks and performs the same year in and out. We’ve taken fading, staining, mould and mildew out of the equation. The boards are wrapped in UltraShield technology so that when the deck is installed it will last. 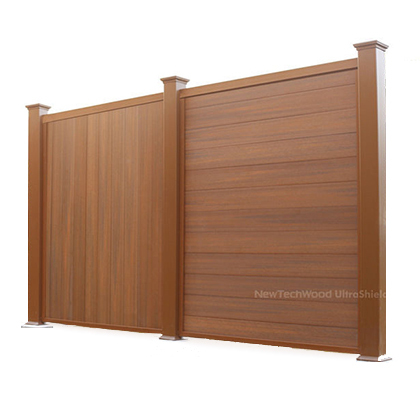 NewTechWood® has built it’s foundation upon green principles and values. Our products are made from 95% recycled materials such as recycled plastic bottles and wood fibers. Years of engineering and countless hours of field-testing has yielded a product of unmatched performance and beauty. UltraShield combines the proven strength of high density polyethylene plastic and wood fibers with an outer shell of polymer. 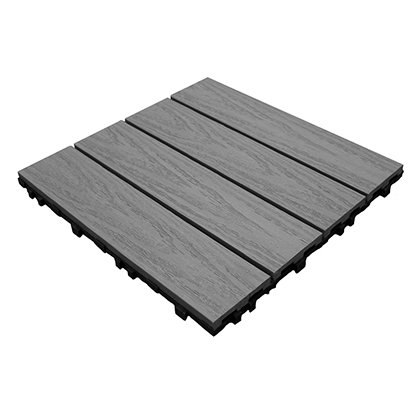 NewTechWood’s Deck Tiles are a solution for renovating a concrete balcony, terrace, or patio. Designed to be used by anyone from DIY beginners to veteran builders looking for a gorgeous, easy to install deck. UltraShield Cladding allows for air circulation between the cladding and joists, keeping the inside dry by isolating water from outside. Widely used for exterior walls on individual residential homes, apartments and commercial buildings. 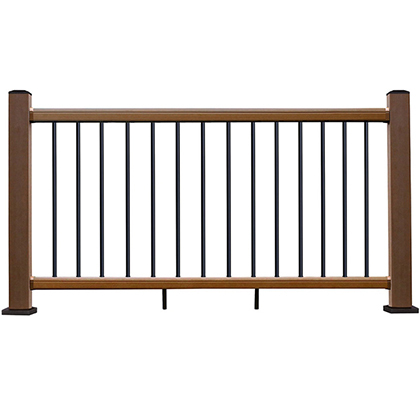 Modern & sleek hybrid composite railing with patented UltraShield technology. Long lasting protection technology and unique natural looking wood texture. Hidden fastener clips that allow for expansion, contraction and locking. End caps, colour matching deck screws and scratch repair kits. 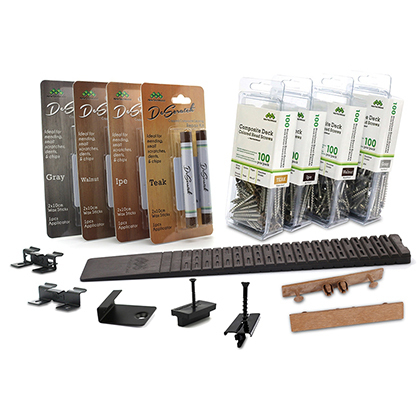 Finish your decking and cladding projects in style with a full range of premium accessories. 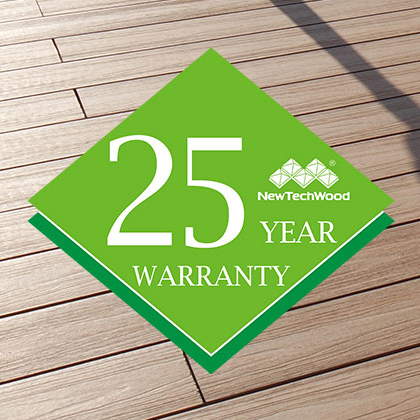 Unparalleled beauty and performance lie at the heart of the NewTechWood decking family. All products are manufactured using our patented composite technology and 95% recycled content. UltraShield is recognised worldwide for its robustness, beauty and versatile colour combinations. UltraShield’s blending of unique tones and fine grain texture gives the deck boards a natural feel, that is safe to walk on with no danger of splinters. 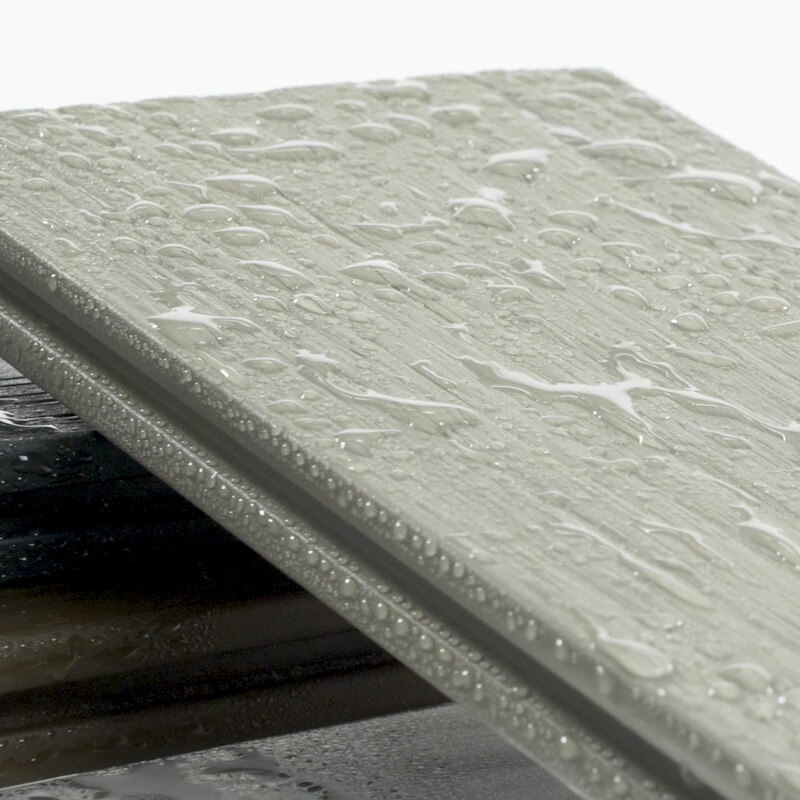 UltraShield is a true game changer in the composite decking industry. 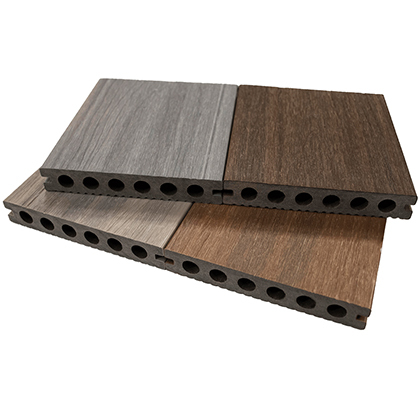 Conventional wood plastic composites are a thing of the past. Evolutionary performance. We outperform all other composite products on the market. Industry leading 25 year fade, stain and performance warranty. UltraShield is engineered to resist fading, scratches, stains and mould. Patented shield formula provides vibrant natural colours with a deep wood grain effect. Visit us at the Timber Expo NEC Birmingham 10 - 12 October 2017. As part of UK Construction Week. We will be at Stand T312 in the Timber Expo. Come along and talk with our product experts. Copyright ©2019 Ultrashield® & NewTechWood® are registered trademarks NewTechWood.